More smiles, yelps and piercing glares are on the cards as West Coast Fever’s Courtney Bruce continues her ascent towards the mantle of Australia’s next great goal keeper. 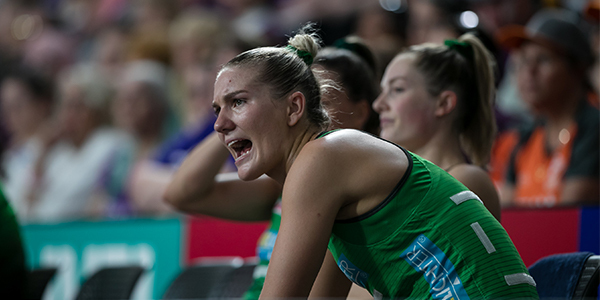 The Fever captain is known for flashing every emotion she feels on court, whether it’s a grin charged by the adrenalin of an explosive intercept or a shake of the head following a contact penalty. While some captains prefer to bottle their feelings, Bruce has promised to use her impassioned approach to get the best out of herself and her teammates. “It’s something I’m aware of,” Bruce said. The key, according to Bruce, is to read the body language and flow of emotional energy from her colleagues and adapt to the situation. “As a captain, I’m learning what each girl needs and what motivates them,” the goal keeper said. “You can see when Jhaniele (Fowler) gets really pumped. So does Stacey (Francis). It’s about not all seven of us going off at the same time. On the eve of her seventh season, Bruce is one of the most effective defenders in the game. The 25-year old has stepped out of the shadows of retired Diamonds Laura Geitz and Sharni Layton to become a feared reader of play and a dynamic athlete capable of poaching even the most carefully placed feeds. Her one weakness, if it can be classified as that, has been a tendency to concede penalties and give shooters undefended opportunities to score. She was the most penalised goal keeper in Super Netball last season, a statistic that rubs some of the shine from her prolific ball winning. 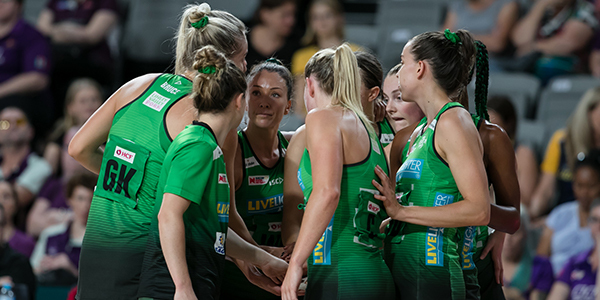 Bruce has cleaned up that aspect of her game at the international level and is intent on further improvement as she tinkers with her style in Super Netball. Pre-season stints at goal defence have provided lessons in how to sharpen her ball-winning instincts. “I feel like that’s coming along really well,” she said. “It’s definitely better when I’m off the body. I think I got back to my style towards the latter end of the comp.